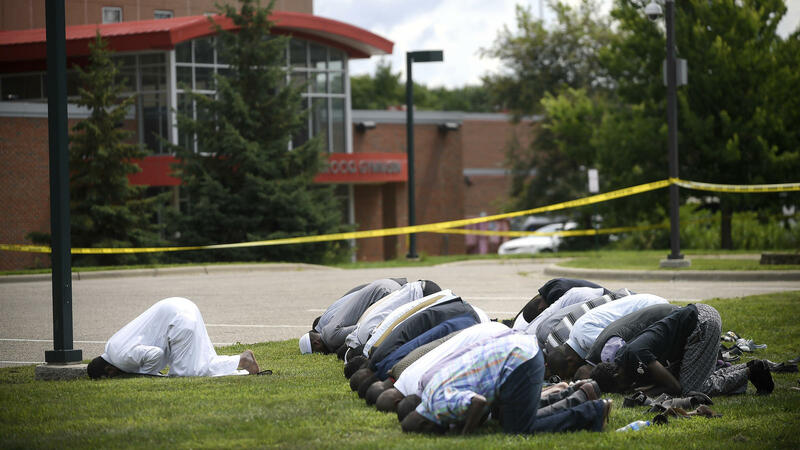 An explosion in a mosque in Bloomington, Minn. left worshippers shaken early Saturday morning, Aug. 5. The incident occurred at Dar Al-Farooq Islamic Center just as worshippers were preparing for their early-morning prayers, at around 5:05 a.m local time (6 a.m. ET), and left no casualties aside from damage to a room. Bloomington Police Chief Jeff Potts said first respondents reported seeing smoke coming from inside the community center. The FBI has since taken charge of the investigation and Special Agent Rick Thornton told reporters that the blast originated from an improvised explosive device. Mohamed Omar, the executive director of the Islamic center, said a witness reported seeing a pickup truck drive away from the scene after the explosive device was thrown into the building. Thornton said that the motive, and whether or not this was a hate crime, has not yet been determined. The Muslim American Society of Minnesota and the Minnesota chapter of the Council on American-Islamic Relations are both offering a $10,000 reward for anyone who has information regarding those responsible for the explosion. Local politicians and leaders of different faiths have spoken out against the incident. “An attack on any of a place of worship is an attack on all places of worship,” the pastor of Bloomingdale church, Arthur Murray, said. “Every place of worship, for all Minnesotans of every faith and culture, must be sacred and safe. My prayers are with the children, families, and faith leaders of the Dar Al Farooq Islamic Center today,” Minnesota Gov. Mark Dayton said in a statement. Bloomington is home to approximately 82,000 residents and is just south of Minneapolis.